Lyric is a beautiful daughter of Champion herdsire Terrapin. 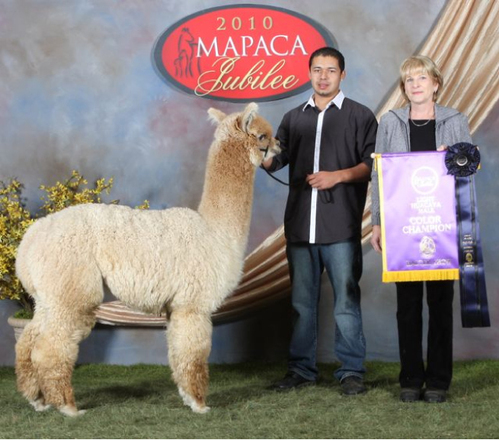 Terrapin won Reserve Color Champion Light male Huacayas 2009 MABA Alpaca Celebration, 1st place & Light Male Color Champion 2010 MAPACA Jubilee. Terrapin's sire, MFI Peruvian Maximization, is a 3x Champion and is one of our premier herdsires here at Outstanding Dreams farm. 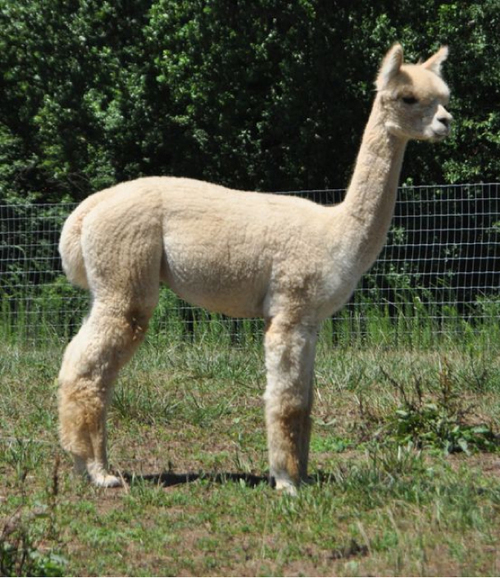 Lyric is ready to breed and sells with a free breeding to your choice of any of our award winning herdsires.